My Disney Store order finally arrived and to say I was excited when I seen the huge brown box with Mickey Mouse was an understatement. I couldn't wait to get it open and cherish everything I had treated myself to last month. I bought all of these items when the Disney Store had 20% off all its items online so I got everything a little cheaper than what it normally is. 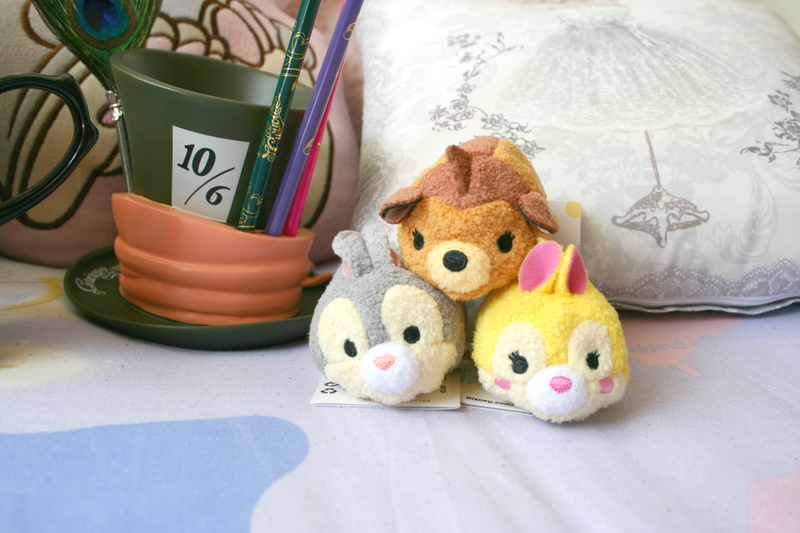 I FINALLY picked up the Bambi and Friends tsum tsums. Seriously I have been looking at these since they've been released and just never got around to buying them. Plus shipping from the Disney Store is really expensive so I didn't want to just order these three tiny things. However they are so god darn adorable and I can definitely see myself picking up a few more different characters. But of course my first three had to be Bambi, Thumper and Miss Bunny, because if you didn't know by now, I'm a tad obsessed! With the new Alice Through The Looking Glass movie just about to be released when I was placing my order of course I just had to add this mug to my basket. How cool is it!? It looks like three teacups stacked together when in fact its just one mug. I'm so obsessed with this and the first thing I'm doing tonight is making a Hot Chocolate in it because you gotta make your favourite drink in your new favourite mug, am I right!? 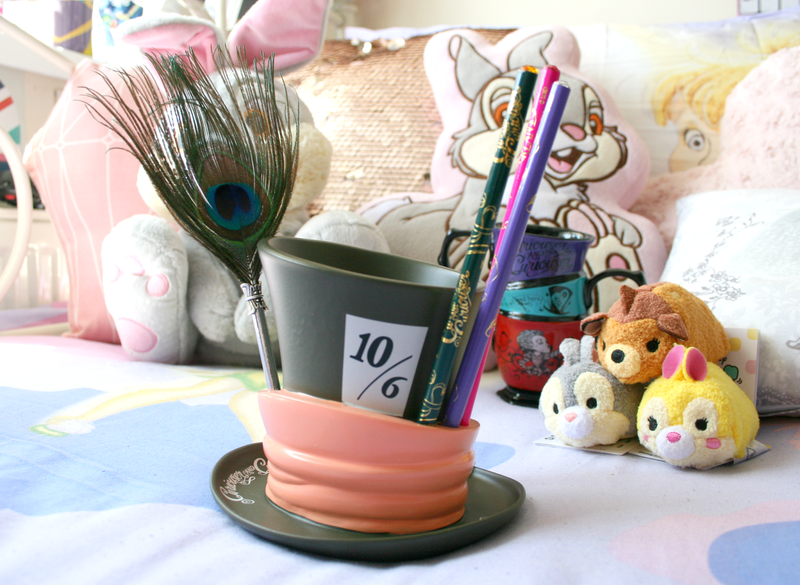 I also decided to pick up the Mad Hatters Hat pen holder. When this arrived I was so surprised at the fact that its ceramic as I was thinking it was going to be plastic. 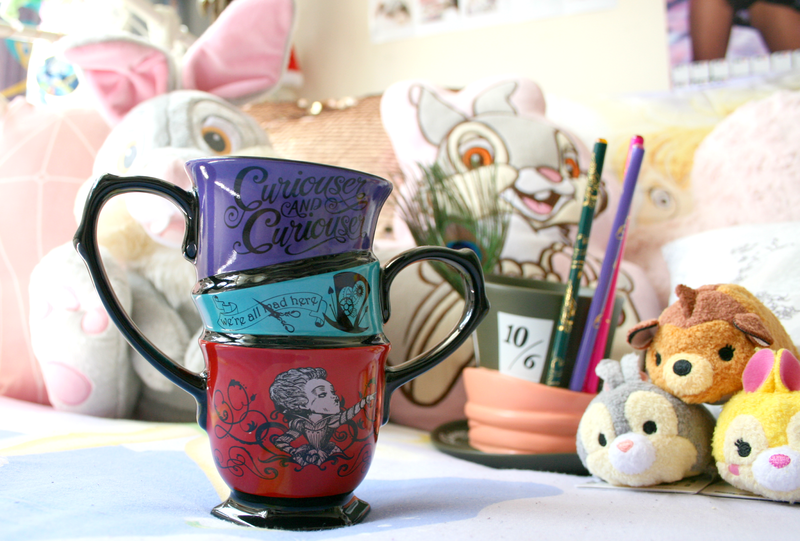 The bottom rim of the hat is almost like a little jewellery dish and on it printed the words "curiouser and curiouser". The top of the hat is where you can store all your pens and pencils but I've chosen to use it to store the makeup brushes I use everyday. Everything you see here on the hat was included, the peacock feather is actually a pen and the three coloured sticks are actually pencils which I thought was such a nice touch. I'm currently obsessed with using the pen just because I feel like a wizard or something using it. Finally saving the main thing I ordered and I'm totally in love with. 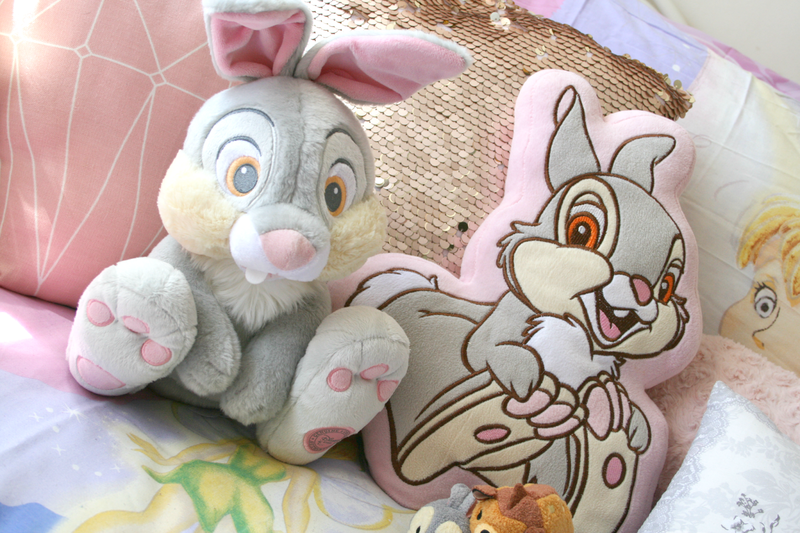 I FINALLY got my Thumper Plush. I have been after this fellow for well over a year or longer and everytime I went to order him he was always out of stock, but I finally got him and with 20% off which was good. Seriously though he is absolutely adorable and if you follow me on Instagram you're well aware of my obsession with Thumper. I'm so happy that I finally got my hands on this plush though cause he's so darn adorable! And thats everything I treated myself to! I did also want to get the new Chesire Cat plush as I have the other one but sadly he was sold out but I'm definitely going to keep an eye out on the website for when he comes back into stock. I also realised that I bought a Zootropolis shopper bag and forgot to include it in the photos, find it here (no longer on sale) online! Have you got your eye on anything in the Disney Store right now? 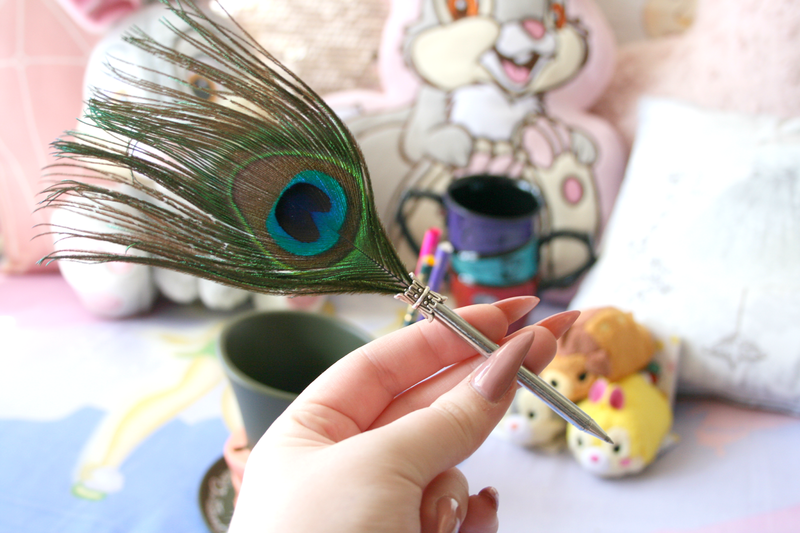 Love the cup/cups <3 The peacock pen feather pen is soooo beautiful! 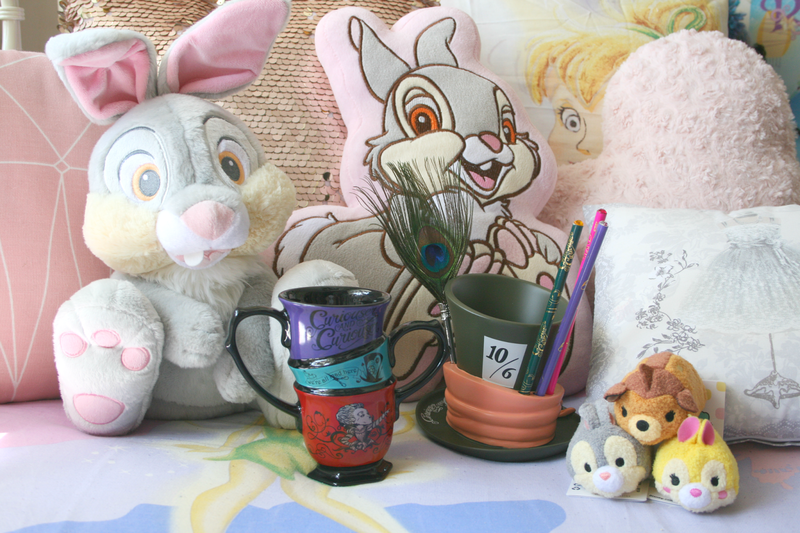 Ahh, hard to beat Disney goodies! This makes me feel the need to place an order at the disney store! These are all SO cute!! 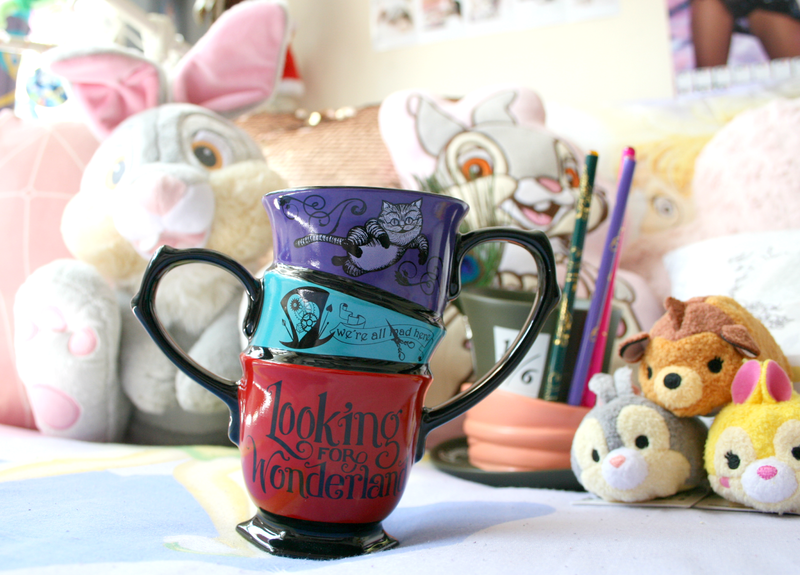 I love tsum tusms and Alice in Wonderland so I can't even choose a favorite item from this little haul. Enjoy your new goodies!